Liquor baron Vijay Mallya sparked off a political storm after he claimed on Wednesday that he had met Finance Minister Arun Jaitley to settle his dues before leaving India. Mallya also claimed that the banks had filed objections to his settlement letters, reported ANI. 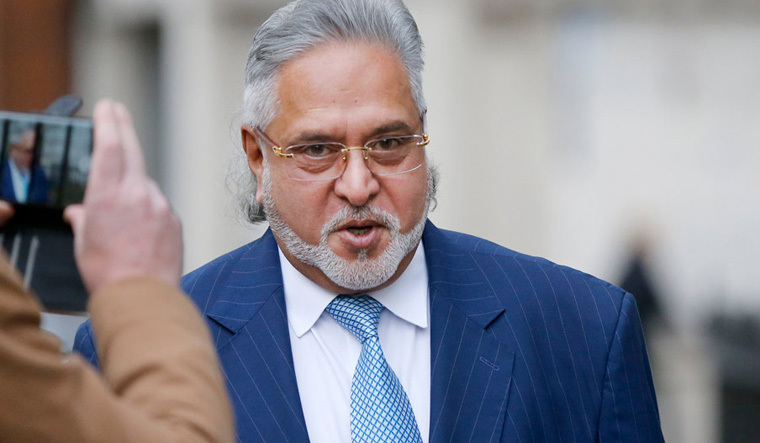 The now-defunct Kingfisher Airlines boss, while heading inside the Westminster Magistrates Court in London in connection with his extradition case, also said that he was ready for a comprehensive settlement. "I left because I had a scheduled meeting in Geneva. I met the Finance Minister before I left, repeated my offer to settle with the banks. That is the truth," he told reporters. The Congress targeted Jaitley over Mallya's claims saying the party has been repeatedly asserting for last over 18 months that not only Mallya but Nirav Modi, Choksi and many others have been allowed with impunity. "Question remains how he could have left after everyone knew of his debts and NPAs," says party leader Abhishek Manu Singhvi. CPI(M) leader Sitaram Yechury said: “It's a fact that all of us had known earlier. Whatever denials the government may issue, it confirms that all those who looted public money by taking loans from banks and absconded, not one of them happened to leave the country without knowledge of the government. The 62-year-old business tycoon is wanted in India on charges of fraud and money laundering amounting to around Rs 9,000 crore. Mallya had apposed his extradition, saying Indian jails do not have proper air and light. Meanwhile, Mallya's lawyer told the court that the IDBI bank officials were well aware of the losses at Kingfisher. The emails from IDBI officials show that the government's accusation of Mallya hiding losses is baseless, he said. He also told the court that there is no evidence that Mallya or Kingfisher applied for bank loans with bad intent. Mallya has been in the UK since March 2016. He was arrested by the Scotland Yard on an extradition warrant in April this year.